Rasayana-the quest for eternal youth is not new in Ayurveda. Powerful anti-ageing therapy from a treatise is made into a user friendly cream form to sooth and refresh your tired skin. A blend of medicated beauty oils in Ayurveda and essential oils of selected herbs with cream base. This wonder medicine is indicated for regaining and imparting youthfulness to the skin, also effective in the treatment of pigmentation, scars and blemish and for highlighting complexion. Yuva refreshes , beautifies and cures the damaged/ dried /parched up / wrinkled effect created on the skin due to excessive exposure to chemical synthetic creams and bleach and imparts wrinkle free, fresh and radiant skin. Increases the tonicity and makes the skin more firm. stimulates the re- building of elasticity & tightens the pores. Gentle, nourishing cream specially suited for the delicate skin around the eyes. Ayurvedic treatment modalities describe internal and external therapy to achieve and preserve beautiful skin and also details a vast array of medicaments to aid this therapy. 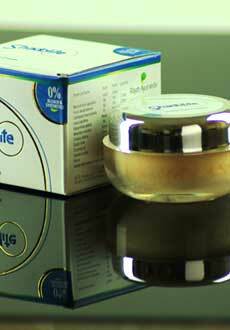 For Shadolite we adopted the Kumkumadi oil(with Saffron as the prime ingredient);ever famous beauty recipe detailed in treatise which is the highlight of this cream. Also medicated with oils that beautifies the skin and soothes the eyes ,minimizes dark circles and wrinkles around the eyes. Also takes away the stress and wariness from your face and imparts fresh and exotic look. Kumkumadi thailam Under Eye Therapy: iwith Saffron as the prime ingredient is the base of this cream. This beauty drug is specifically indicated for treating dark circles. Saffron is an age old beauty herb that is highly specific in the treatment of black discoloration of skin. Saffron has a long medicinal history as part of traditional healing; antioxidant properties. Early studies show that saffron may protect the eyes from the direct effects of bright light and retinal stress . A total eye -care cream providing a soothing and cooling effect to the eyes. Gentle, nourishing cream specially suited for the delicate skin around the eyes. Revitalises and fades off wrinkles from the skin around the eyes. This vitaminized skin nourisher is rich in vitamins essential for eyes & skin. Balances moisture level leaving the skin smooth & supple. Regular use of shadolite makes the eyes look healthy and exotic. Enriched moisturizing preparation with pure Kumkumappoovu( Saffron), Elathari( Cardamom ), Ilavangam(Cinnamon),Manchatti( Indian madder), Guggulu, Coconut oil, Wheat germ oil and Olive oil. Our very own recipe Eladi detailed in Ayurveda as a cool remedy for dry skin is the prime content. Ayurvedic medicated oils with cooling, nourishing properties are incorporated in the preparation. Natural rehydrants act as excellent softening agent, providing maximum nourishment to the skin. It has been fortified further by the addition of herbal oils. Leaves the skin soft, moist and restores a smooth radiance. A blend of biologically powerful and effective natural herbs, enriched with Vitamins. Helps to remove impurities and pollutants , while restoring the natural oil-moisture balance of the skin. Excellent for reconditioning chapped rough skin on hands, feet and elbows. Wheat germ oil and Olive oil. Biocosm with its Natural Rehydrants acts as an excellent emollient & softening agent - protects the skin against moisture loss. & Acts as an ideal protective barrier. Fills the purpose of deodorant as most herbs in the preparation are aromatic. 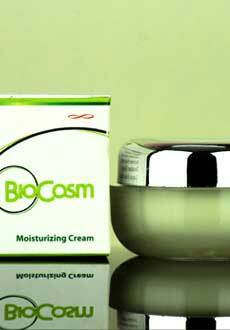 Especially suited for dryskin: Biocosm relieves itching, eczema usually associated with dry skin. A powerful/ luxurious moisturizing treatment ,enriched with natural rehydrants that act as an excellent softening agent, providing maximum nourishment to the skin. this highly effective moisture trap seals in natural moisture ,helps to eliminate dryness. Restores to the skin a smooth radiance. Protects skin from the damage caused by exposure to pollution and sunlight. Specially developed to control dehydration caused by dehydration of the skin,caused by air travel. Ideal for frequent travelers and flight crew. Specially created for dry,dehydrated or mature skins. Soothes, heals & cures the discomforts due to detergent allergy. A total lip-care treatment - softens & protects the lip from chapping & discoloration. The main speciality of this balm is Kolarakku renowned as a herb highly specific as imparting and enhancing lip colour. 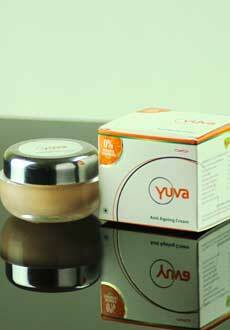 Beauty care therapy in Ayurveda with special herbal oils and powders for lip care is formulated into this potent balm. 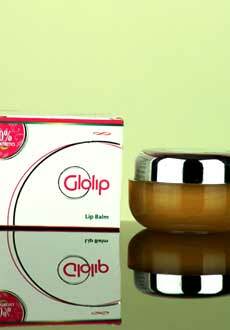 A total lip-care treatment - softens & protects the lip from chapping & discoloration. Regular use of the cream guarantees smooth, red, glossy lips. Ayurvedic medicated oil with coconut oil as base. 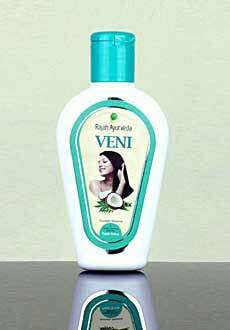 Good for dandruff itching in scalp and hair loss. Excellent in seborrhea associated with dry scalp. Promotes hair growth. Prevents premature graying. Apply on scalp & hair and gently massage in circular movements with finger tips for 10 minutes wash in cold water after30 minutes.